The East Valley Resource Center - Resource for kinship families. Support groups that meet the 1st of the month. They have parenting classes and they also provide daycare while you are there. Maricopa County, Arizona - The Benevilla GRG (Grandparents Raising Grandchildren) Program is designed to provide grandparents with valuable information in a supportive and caring environment. The program is free as a service of the Benevilla Family Resource Center and is funded through Frst Things First. We have groups meeting in NW and SW Maricopa County, Arizona. For more information please contact Sherry Griffin at sgriffin@benevilla.org or call 623.207.6016. Kinship Connection for Kids - Montrose - Midwestern Colorado Mental Health Center has a support group for grandparents and other relatives who care for children For more info call. 970-252-3235. Colorado State University Extension Grandparents Raising Grandchildren: There is a list of support groups for the following counties in CO, Adams, Arapahoe, Bent, Boulder, Clear Creek, Crowley, Denver, Douglas, El Paso, Gilpin, Jefferson, Larimer, Lincoln, Logan, Mesa, Montrose, Otero, Pueblo, and Weld County. Children's Bereavement Center -- Helping Children grieve and heal in a supportive caring environment (South Florida). South Daytona, FL - Support Program for Grandparents raising grandchildren, sponsored by Holy Cross Lutheran Church, (386)767-6542. The Children's Home, Inc. a 501c3 non profit agency. We offer info and referral, navigation, case management, support groups, advocacy, training for kinship families, and community providers in Hillsborough, Pinellas, and Pasco Counties. Grandparents Raising Grandchildren Caregiver Support Group for Palm Beach County, Florida. Sponsored by MorseLife Health System. Idaho KiNCAVVVRE Coalition - This website contains listings and links for support groups throughout Idaho. 211.idaho.gov - 2-1-1- Idaho Careline is a website that contains a full database of state and community resources. Chicago Youth Centers invests in youth in underserved Chicago neighborhoods to help them discover and realize their full potential. Grandparents As Caregivers, a program sponsored by Children's Home+Aid, in Schaumburg and Niles, Illinois. Free child care is available for support groups with a 24-hour notice. Meetings are monthly. Call Linda, (847) 640-9590. Grandparents Raising Grandchildren by Community Care Systems, 10 a.m., second Friday activity room, Marshall Public Library, 612 Archer Ave., Marshall, Ill.; (217) 286-2535. Assistance with << seeking guardianship of grandchildren in the Chicago, IL area. 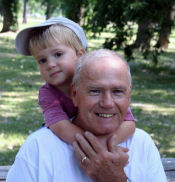 Grandparents Raising Grandchildren Support Group - Summit Public meets from 10-11:30 a.m. the last Thursday of the month. (708) 354-1323, Ext. 28. MSPCC - Massachusetts Society for the Prevention of Cruelty to Children, KINnections Program for grandparents and relatives raising children in the Boston area. Contact Anna, Program Coordinator. 617-983-5847. Grandparents Raising Grandchildren in Massachusetts. Grandparents Raising Grandchildren In Harmony The North Suburban Family Network, in collaboration with the Melrose, Stoneham and Wakefield Councils on Aging, and supported by community donations, offers a support group for grandparents and grandchildren. The program meets from 9:00 AM – 11:00 AM on the second and fourth Monday of each month at the Life Care Center of Stoneham. The two- hour sessions offer support and speakers on subjects chosen by the participants. You are not alone. Come meet other grandparents who are actively raising their grandchildren. Please call the office at 781-662-2722 for more information or to register. Adrian, Michigan - Relatives as Parents, which meets from 5:30 to 8 p.m. every Thursday at the Piotter Center. For information, call founder Sharon Guild at (517) 592-8742. The Kinship Care Resource Center is a non-profit statewide organization through the School of Social Work at Michigan State University. This website provides a list of Grandparent support groups throughout Michigan. Hackley Community Care Center program for grandparents raising grandchildren residing in Oceana, Ottawa and Muskegon counties. Contact Cindi Will 231-733-6669. Grandparents As Parents program of Catholic Social Services of Washtenaw. For information please call the Older Adult Services unit of Catholic Social Services for more information, at 734-712-3625. 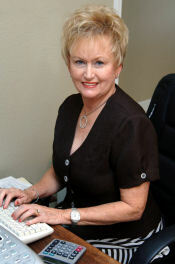 OLHSA, A Community Action Agency– Grandparents Raising Grandchildren. Contact: Lisa Grodsky Lisag@olhsa.org 248.209.2622. River Rouge, MI: Caregiver Cafe - Walter White Community Resource Center, Parenting Room, 550 Eaton Street, River Rouge, MI 48209. 3rd Thursday each month, 9:30 - 11:00 am. Contact # 734-624-7366. When: 2nd Thursday of each month (check first to make sure date has not changed). Missouri GRANDFamily Support Groups Support groups and links to topics pertaining to the challenges of raising relative children. The Nurturing Center in Kalispell, Montana sponsors a Grandparents Raising Grandchildren support group that holds monthly meetings to provide information, resources and support. Website for Montana Grandparents Raising Grandchildren, which includes a statewide directory of support groups. Child and Family Resources - a private, non-profit organization that creates and delivers programs and services for the community that support the development of children and strengthen families. Grandparents Raising Grandchildren NJ - Resources for grandparents raising grandchildren & relative caregivers in NJ. Answers to your kinship care questions from Foster and Adoptive Family Services, the voice of foster, adoptive and kinship families in New Jersey. New Jersey Alliance of Family Support Organizations: New Jersey's Family Support Organizations are family-led, community-based, non-profit agencies whose mission is to provide support, advocacy, and education to families and caregivers of children with emotional, behavioral and mental health needs. NJ Children's System of Care: Behavioral Health Solutions that are member and family focused. Grandparents Raising Grandchildren: Craven County, NC support group for grandparents who have full responsibility for raising grandchildren. 4th Tuesday of each month at Missionary Baptist Church, 110 North Main Street, Cove City, Craven County, NC from 6-8 PM. Contact Cathy Campbell at (252) 638-8143 for more information. Relatives Caring for Children - Facebook page - Community Services, Jacksboro, Campbell County, TN. Corpus Christi, TX: Grandparents raising grandchildren contact the Ben F. McDonald Public Library (formerly Greenwood Library) for information about support groups. 361-826-2356. Texas Area Agencies on Aging (AAA): Some area agencies on aging "sometimes" have programs for seniors raising children. This links provides information on how to contact all Texas AAA's. Washington (State) Court Forms - A helpful website with court forms and instructions on how to fill out a variety of forms, including Nonparental Child Custody forms, plus contact information for court facilitators that can assist you in understanding appropriate forms. When retirement turns into full-time parenting, where does a grandparent turn?